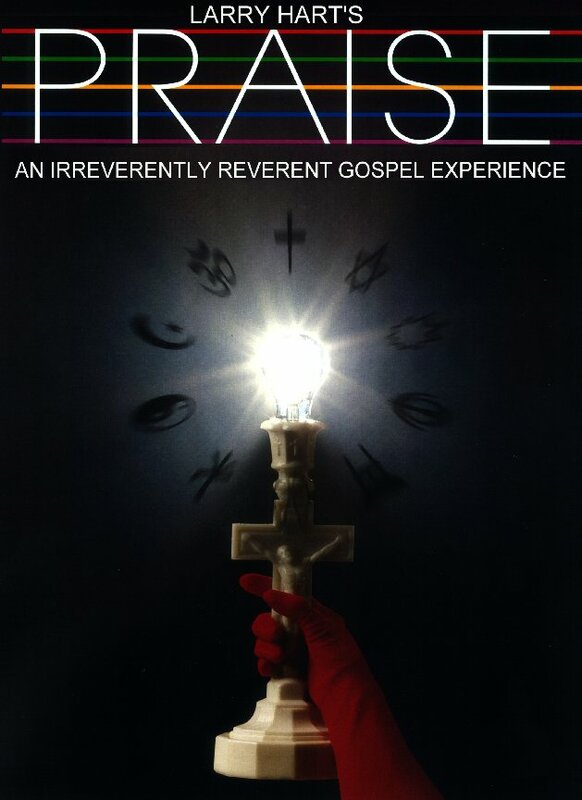 I had the privilege of seeing Larry Hart’s production of Praise in the reception hall of Hart Mansion when he first launched the show before a small private audience of friends and special invited guests. The rhythm and sounds of this unique show reflect Larry’s spiritual diversity with an eclectic mix of tunes and dance drawn from a full spectrum of religious and spiritual roots. This is not just gospel born from the American South, but a global gospel praising the Lords of all beliefs. But no matter the origin of the inspiration, each number is indeed inspired and that inspiration is quintessential Larry Hart – all heart and masses of talent. This is the kind of show that just makes you happy. Your consciousness naturally expands and your heart chakra nearly bursts from your chest. Don’t miss it if you want more joy in your life. Sunday July 12, 2009 @ 2:00 p.m.
Larry Hart’s concert of praise does not mean anything to anyone. He is no super star, he is no Elvis and he is no Michael Jackson. He has no stage presence and is only a legend in his own mind. Please go away.